The NFL is back and football fans are checking their fantasy teams, heading to their hometown stadiums, and clearing off their schedules for Sundays, Monday nights, and Thursday nights. Unfortunately, though the NFL is filled with excellent competition, there are plenty of terrible injuries that occur each week, which are often quite difficult to stomach for the average viewer. NFL players are at-risk of concessions, arm and leg fractures, and other injuries that can not only ruin their football careers but impact their entire livelihood. Joe Theismann — As Keith Jackson used to say: “The grand daddy of them all.” Joe Thiesmann’s injury has already cemented itself as the most gruesome injury in NFL history. Being sacked by Hall-of-Famer Lawrence Taylor, Theismann’s leg completely shattered, causing his pro football career to end that night in Washington, D.C.
Bryan Barker — Barker was punting for Washington against the Dallas Cowboys during a Thanksgiving game broadcasted on national television. As he was preparing to punt the ball down the field, he took a knee to the face. Barker’s helmet had a big opening and left his nose exposed, causing the knee to get right in and cause a horrific and bloody scene. Tom Brady — During the first game of the season, Brady, like he’s done so many times before, dropped back and was getting ready to heave a ball down the field. Bernard Pollard of the Kansas City Chiefs hit Brady low, resulting in a torn ACL. Brady missed the rest of the season and NFL officials started protecting quarterbacks from low hits moving forward. E.J. Henderson — Henderson, a Minnesota Vikings linebacker, was chasing down Tim Hightower of the Arizona Cardinals. Unfortunately, he suffered a horrific leg fracture. During the attempted tackle, it looked as if Henderson’s left leg was bent at a 90 degree angle from the side. 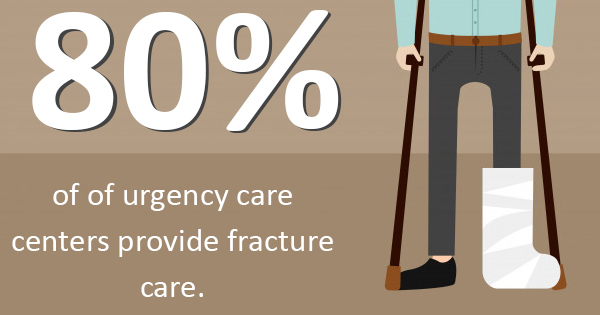 Thankfully, 80% of urgent care centers provide fracture care — so athletes and non-athletes alike can at least receive the medical attention they need after suffering any kind of fracture-related injury. Whether you’re an athlete or suffered an injury just in your daily life, if you need immediate medical attention, make sure you’re getting professional help at quality urgency care centers. If you’re in Hawaii and need to visit an urgent care clinic, check out Island Urgent Care as soon as possible.